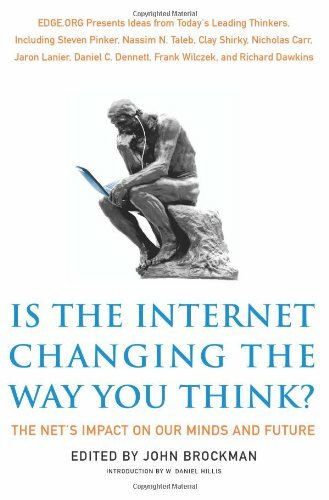 One of the book that mostly influenced us as a team prior to working on Kurio was a great book title ‘Is The Internet Changing The Way You Think?’ – a collection of comments and statement from Industry’s best thought leaders sharing their opinion on how the Internet change the way they think and literally change every aspects of their life. There are 4 interesting insights and highlights that i remember the most from the book and i would like to share them as we continue to work hard to really deliver our vision, mission, and promise in Kurio. Our mission is simple, to help our users to be better in what they do. Well informed individual really empowers us to be able to make better choice, take better calculated decision, help us to act and react differently through different sets of situation and condition. How we deal with certain things, anticipate, and solving a problem in a much better way, simply because we all better informed. Our live is not judged on what we know now, it’s how we keep learning and update ourself with new information. We hope Kurio can bridge that lack of knowledge and information, to equip and prepare our users to be better in what they do, no matter what they want to do or become. 1. “Internet is a great leveller” – Frank J Tipler. “Currently the Internet is the great leveller. It allows everyone access to exactly the same information. Will this ultimately destroy diversity of thoughts? Or will the tendency of people to form isolated groups on the Internet preserve that all-important diversity so that although all scientists have equal access in principle, there are still those who look at the new raw data in a different way from the consensus? I remembered that statement related to a story my friend once told me: “Being stupid in the age of Internet is an option. You chose to stay stupid.” What he really meant was that, we can no longer give excuse of not knowing about something these days. Every information, or things that we are curious about are all available on the Internet. The question is whether you want to find out, equip yourself, so you can say honestly everyday, that I don’t know about something today, but give me couple days to look into it. Internet enable us to have access of infinite pool of knowledge and information that are equally available for anybody who’s willing to give a damn, care enough to find out. Important discoveries have historically stayed local. The internet addresses the problem of knowledge sharing better than any technology we’ve had. New discoveries latch on immediately: The information spreads widely and the redundancy prevents erasure. In this way, societies can use the latest bricks of knowledge in their fortification against existential threats. Most of the world does not have access to the education afforded to a small minority. The Internet opens the gates of education to anyone who can get her hands on a computer or mobile device with Internet connection. A motivated teen anywhere on the planet can walk through the world’s knowledge, from Wikipedia to the curricula of he MIT’s OpenCourseWare. Fast forward, Indonesia can have a better future when its society are better informed. We want to take part in that important journey of individuals, through stages of live, discovering new information that can influence how successful they become. Please help us spreading this mission, by using Kurio and tell everyone in your community, family, colleagues about the app. Get as much as you can out of the things you can discover and explore inside Kurio. Kurio is still at the very early stage of what we’re trying to accomplish. As we move forward, building the reading habit of discovering, exploring, and consuming right information starting from news, we want to bring more wealth of knowledge, information, useful content to the right audience who needs the information to enable them to be better.